I never had weight problem until I got pregnant with my first daughter. I was 112 lbs before I got pregnant and in just 9 months I went to 152 Lbs. By the way I am only 5 feet 2 inches tall. 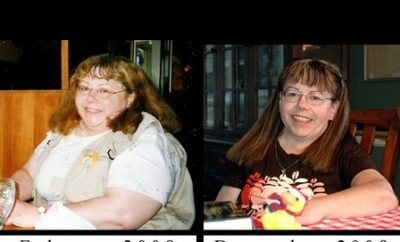 I came down to around 136Lbs or so and stayed there for almost 4 yrs. When I got pregnant for the second time I went to 174 Lbs. When my mom saw me she was in total shock. She could not believe her own eyes. I felt I was looking like a baby elephant. Funny part is that even though I gained so much, both of my daughters were tiny. Elder one was 5.11 Lbs and yonger one was 5.4 Lbs. After my second daughter I came down to 154.6 Lbs. This time I decided to loose this weight. I had a realistic goal that I want to be 120 Lbs in next 5 months. On May 7th, 2009 I started walking. In the beginning it was just 3 miles then I increased it to 5 miles and then 7-8 miles EVERY DAY. 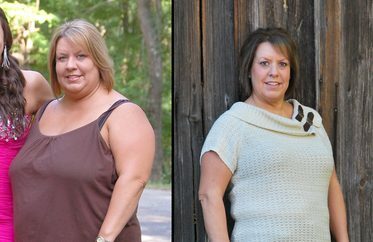 I used to walk without eating anything in the morning so that I would burn my stored fat. I am assuming that I was burning 600-700 calories per day by walking. I checked my weight everyday and I still do that. I ate everything . Rice , sweets etc but in controlled portions. I controlled my calories intake. I was taking 1400 calories per day that included rice or roti (indian home made bread) , one cup milk, one banana (which I love a lot in fruits), vegetables and some times one egg. I do not eat meat, frozen foods. And another plus factor that I was breast feeding. That is another 300 Calories. I personally think that walking with EMPTY STOMACH, in the morning, is the reason that I could loose weight so easily. I walked alone with my daughters in stroller as I could not find anyone for company. Now I am 120 Lbs. I reached my goal in mid Sept 2009. I have not gained weight since then. Although it is just one and a half months but I think I will be able to keep this weight. I will keep you posted. AND yes I feel Fabulous. I want to loose another 5 lbs so that I will be having some cushion incase I overeat some day. 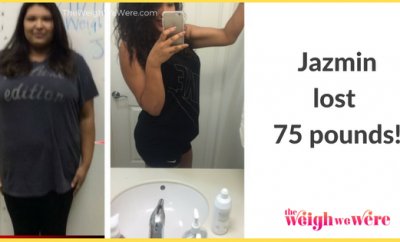 Real Weight Loss Success Stories: Jazmin Dropped 75 Pounds And Went From Sad And Weak To Strong And Happy!